…and this is what I have learned. Let’s be realistic with ourselves. No one cares about our posts unless we have proven our value. Not everyone can be a rockstar, professional athlete, big corporation, or popular politician. For us normal human beings, usually awareness is the biggest hurdle. If no one knows you, no one will search for you and try to find what random musings you might come up with. Let it be our blog, our fantastic new website, our app or something else we have created. a.) It might be really life-alteringly amazing. b.) We have spend a lot of time and energy in creating it. The problem is that at this point in the history of humanity, we are at a wonderful stage where everyone can be a content producer. So we are experiencing a huge competition between the content producers. So what! You might say. Welcome to the club you might add. And usually I would agree. But what makes this ‘achievement’, well at least for me remarkable, is by how much it comes out of a structured approach to using Twitter. Probably, I finally managed to wrap my head around this specific paradigm of ‘social media’ which has not been that apparent to me in the past or I now (finally) have a working setup of tools to drive growth on Twitter. Likely it is a combination of both, and I would like to share some tips and I hope some of them work for you as well. Disclaimer: I like technology and I work with technology. So for me it really matters to have good tools to work with. Besides the twitter.com website, I am now regularly using two main tools to help me manage my Twitter accounts. 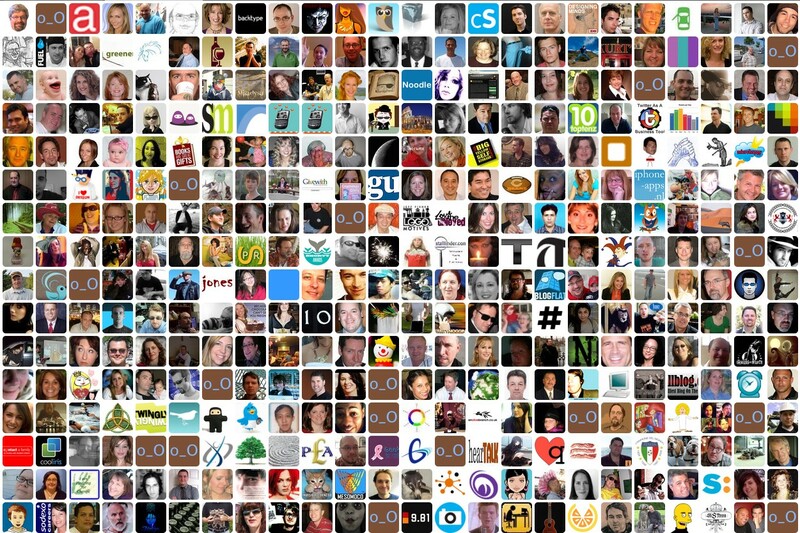 These two tools are Tweetdeck (https://tweetdeck.twitter.com/) and CrowdfireApp (https://web.crowdfireapp.com/#/grow). CrowdfireApp helps me with the following use case. 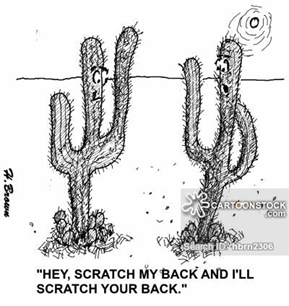 Twitter operates a lot on the ‘You scratch my back and I’ll scratch yours’ principle.’ (YSMBAISY) So you get people attention by following them. Once you start regularly using Twitter your will experience this pattern a lot. 1. People will follow you. 2. Based on the YSMBAISY principle you follow back. 3. You receive an automated welcome message that is never answered once replied. 4. You will get unfollowed the next day. CrowdfireApp gives you a good overview who has recently unfollowed you. We are all pragmatic people here, it makes no sense whatsoever to follow someone who does not organically bring you growth since they are in a completely different industry or area of interest. But we want follower-growth so the trade-off is obvious. Now all these flip-cases don’t need to be manually and time-consumingly removed via the twitter website. 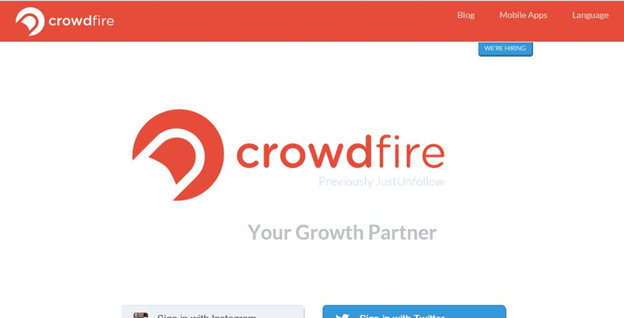 In addition, CrowdfireApp helps you organize your new followers and makes it very swift and easy to follow back. 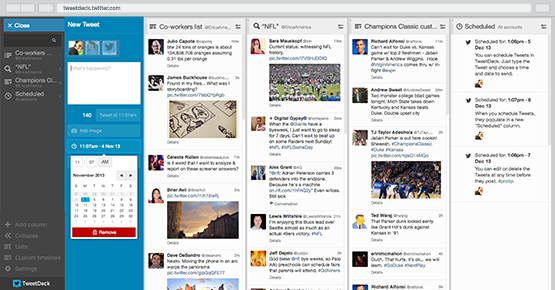 The other application is Tweetdeck. As you can see in the screenshot below, Tweetdeck helps you organize your Twitter accounts and Twitter lists among many other things. You have not heard of lists ? In many cases you are interested in a specific area, let’s say space-travel but you don’t want to see this in your main timeline. This is what lists are for. And they are awesome! I would highly recommend to use them. Tweetdeck helped me a lot organizing the topics I am interested in and makes content that I want to retweet or learn about much more approachable and effective. Of course have measurable goals is always a good thing to have. And if you are scrappy like me hustling for new followers then the success might or might not come. But if you have a solid approach let’s say “I need 10% new followers every 2 days”, then your activities around Twitter will focus on this area. So you will follow more people, read more posts, re-tweet more and better. In summary you by yourself will be more engaged to the platform. And that is what happened to me. Now I am even blogging on Medium about the experience. I can recommend this app here: It is a location-based meta-aggregator for last-minute events around you. Great urban travel companion. Very cool!